Tomi Lahren addresses R-CALF USA and the public in Rapid City,S.D., on Aug. 26. 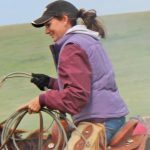 While she is not a rancher and never has been, it's in her blood, and on her mind. 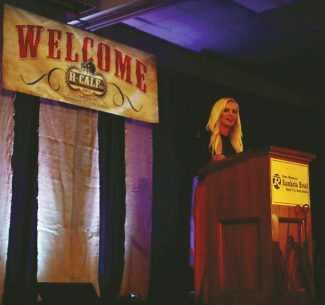 Tomi Lahren, best known for her conservative rants on The Blaze network and more recently solely on Facebook, addressed the convention crowd at the R-CALF USA national convention recently in Rapid City, S.D. "The forgotten American lives in every city and even right here, and across the heartland. They work in coal mines, steel mills, oilfields, the factories. But what about another breed of Americans, the cattlemen, farmers and ranchers? You. You are the forgotten American. 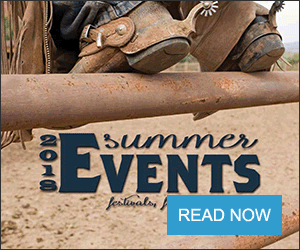 America doesn't know enough of you but they are about to," she told ranchers from Georgia, Montana, South Dakota, Nevada and nearly every other state in the nation. 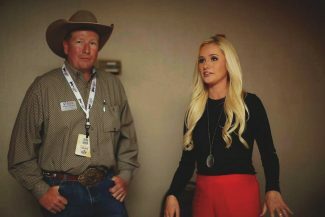 Lahren, whose mother was raised on a ranch near McLaughlin, S.D., and who's father grew up near Mobridge, S.D., on a ranch now operated by her uncle, hopes that she can use her media influence to bring about change for the cattle market. Lahren herself grew up in Rapid City then moved to Las Vegas to attend college. She settled in Dallas but says another move — this time to California — is immenent. Alluding to big changes in her near future, Lahren said on Aug. 26, that she wouldn't reveal her "personal plans" but that there would soon be some big news about her career forthcoming. Days later she announced on her Facebook page that she had indeed been signed on with Fox News. She will serve as a contributor, primarily on Sean Hannity's show and will also work on digital development. Hannity included her on his Aug. 30 show. 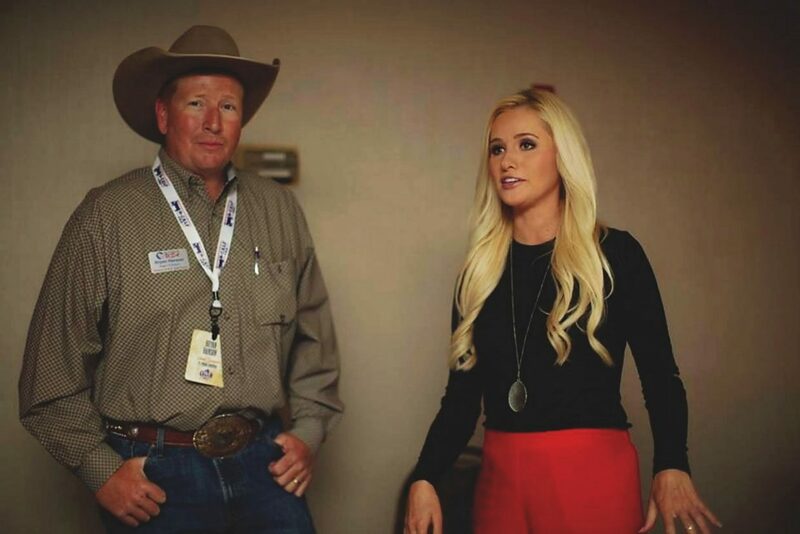 "Growing up I watched my uncle (Kent Lahren of Mobridge) working on the home ranch. He always had just enough to get by. It's a hard lifestyle, but a good lifestyle and he didn't complain," she said. "I talk for a living. I can't imagine doing what you do. But I will use my platform to speak out for you. I will do it 100 times over. I will take all of the heat, all of the hate and backlash. You deserve a voice," she said to the approximately 300 R-CALF USA members and 100 to 200 members of the general public in attendance. Lahren said that she was seeking an internship while in college in Las Vegas. "I applied for a job with The Blaze but they turned me down. So I kept looking." Lahren was eventually hired on with One America News in San Diego where she hosted "On Point with Tomi Lahren," and at 21 years of age became America's youngest talk show host. After a year and a half at One America News, Lahren was hired on with The Blaze where she worked for several years until this spring. For several months, Lahren has worked independently, continuing to post videos of herself commenting on hot political topics. With Donald J. Trump as the nation's president, "It is less about being conservative or liberal and more about 'America first,'" she said. "The factory workers, the ranchers, the farmers, there is not a better time than now for the American people to start to come together and fight for their industries." Lahren believes she can use her influence to help the "struggling coal miners, middle class Americans, the silent majority put in a pinch and a squeeze by big government, big corporations." She advocates for country of origin labeling for meat, an issue not traditionally supported by many mainstream conservatives. "This won't stop. I'll keep talking until we get COOL. Most logical, common sense, regular Americans, even those not in this industry, anyone with common sense, knows this is needed. I can bring this message to the consumers. 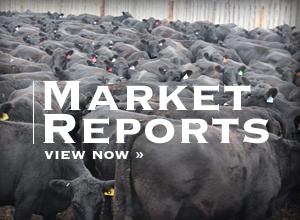 They want to know where their meat is coming from." COOL is not a partisan issue, Lahren said, and contrary to some arguments, it is not expensive. "If communist China can dictate and know where their beef is coming from, then why the he** can't we know in the United States of America? "American people are in the driver's seat now. Donald J. Trump is in the driver's seat now. We have a little more pull now," she said, adding that she "happens to know" President Trump. "He cares about you. I'm going to bring this to his attention," she said.